A California jury has awarded more than $22 million to the family of a former paint mixer and tinter who worked for decades at a chemical firm and a major paint company. The painter, who died at the age of 72 from mesothelioma, brought the lawsuit with his wife before his death to “prevent companies from harming workers in the future.” In the lawsuit, the plaintiffs claimed that two mineral companies knowingly sold asbestos-tainted talc to the paint manufacturers who supplied the companies he worked for over the years. The jury agreed, finding that the defendants marketed, sold, and distributed their talc products for more than 50 years to the paint, ceramics, and cosmetics industries, but never disclosed that they contained asbestos. Based on this and evidence presented by the plaintiff’s doctors showing that the same ingredients comprising the defendants asbestos-containing talc was found in the plaintiffs lungs, the jury found that having acted with “malice, oppression, and fraud,” the defendants were liable for both compensatory and punitive damages. The jury awarded $17.5 million in compensatory damages to the plaintiff’s family, and $4.6 million in punitive damages. This was the first verdict of its kind in California, but not for the defendants. One was found liable for punitive damages for its sale of asbestos-containing talc in another state and the other was previously found liable in Kentucky, New York, and New Jersey for marketing asbestos-containing talc. If you have been exposed to asbestos in the workplace, at home or any other environment, see your doctor right away. Even brief exposures could lead to disease. In fact, the Occupational Safety and Health Administration (OSHA) says there is no "safe" level of asbestos exposure for any type of asbestos fiber, citing asbestos exposures as short in duration as a few days that caused mesothelioma. And when it comes to the workplace, the OSHA says every occupational exposure to asbestos can cause disease. Even if you do not have symptoms, see your doctor right away. 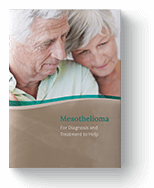 Although there is no cure for mesothelioma, early detection could lead to better outcomes. "Asbestos." Occupational Safety and Health Administration (OSHA). United States Department of Labor, n.d. Web. 08 Jan. 2018. "Calif. Jury Awards $22.17 Million at Conclusion of Asbestos Talc Trial Against. . ." HarrisMartin Publishing. HarrisMartin Publishing, 13 Dec. 2017. Web. 12 Jan. 2018. "Talcum Powder and Cancer." American Cancer Society. American Cancer Society, Inc., 2018. Web. 08 Jan. 2018.